As with any bike you’re thinking of riding anywhere, it’s important to assess the risks before riding out. What’s the weather doing, and indeed, planning to do? Is it a practice session or a race? Are you planning on riding at a club event or is it a ride out with a few mates? Where’s your head at today? Are you ‘bike fit’ and ready to share a track with others? Speaking of others, never go anywhere off road on your own. Ride with someone. Better still, ride with several other people and be aware of who’ll do what in the event of any of the group of riders not being able to get back under their own steam. It also pays to be aware of who rides in what kind of way. Is anyone at risk? Is anyone likely to get in another rider’s way? How broad is the skill set of those riding together? Who are the riders to worry about and what do you, as a riding group, do about it? We can greatly minimise the risks of personal injury by simply wearing the appropriate kit – motocross boots, gloves, body armour, including knee, elbow and shoulder protectors, as well as a decent helmet and a chest protector. Off road bikes are robust and can take quite a hammering. Us humans are, perhaps, not as tough. Check your bike before going out. Perhaps give it a wash and then go over it with a cloth, get out the chain wa (always remembering that the chain wax should be applied to a hot chain), and, while you’re at it, check the fastenings on the bodywork, the depth of the brake pads, wheel nuts for tension, and suspension for leaks. Knowing the bike is in top condition not only gives you peace of mind but it also allows you to concentrate on riding faster and better. If you find something on your bike that you’re not sure of, call someone who knows what they’re talking about! Feel free to look over a mate’s bike as well. Most of us prefer a second set of eyes on a machine that we’ve prepped to riding a bike while a wheel falls off! Raceway Motorcycles also runs monthly courses on basic maintenance for both road and dirt bikes, so if you are just starting out, or feel like you need to refresh your knowledge of how to best look after your bike, make sure to book in for the next one. If you plan to race, join a club. Motocross clubs in Victoria require you to have a race licence and these are awarded after attending a basic training course. Some of the stuff may seem obvious, but even if you know it all already, it’s good to know that everyone else that you’re sharing the track with knows it as well. Race days are also a governed event. Clubs have rules, officials, trainers and medics on hand. The days are well run and many riders have been there several times before. The wealth of knowledge available at a race meeting is so much more than what we could hope to find when riding out with a group of mates. There are several rules when it comes to riding trails in Victoria. 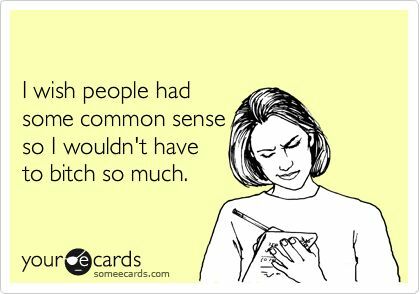 A little bit of common sense tends to go a long, long way. We are, however, informed on a regular basis that common senseis, somewhat surprisingly, not so common. With that in mind we’ll try to lay out a few of the obvious ones. There are state rules when it comes to riding bikes. These go for riding on trails in parks just as much as they go for riding on city streets and highways. Speed limits, overtaking, all the rules of the road apply just as much on a shared trail as they do on a public road. Some parks will have their own rules. These may well include stuff such as riding off the road itself as well as being quite strict on noise and emissions. Some park rangers can be quite vigorous, even appearing to take things almost personally when met with a rider breaking or bending the rules. In some, very rare cases, they may even impound a bike. Licences are required for riding on any public road or park trail. The only place that you can ride without one is on a closed circuit such as a racetrack or motocross track. Even then a competition licence is usually required. Depending on the neighbourhood that the track is built in there may be noise controls. It’s so much better to check before you ride or trailer your bike all the way there only to find it’ll fail a noise test! Helmet laws are helmet laws. We’ve come a long way and learned a lot more about head injuries in the last few decades. There is no argument left that says it’s ok to wear sub-standard or no helmets at all. Make sure yours is damage free fits properly and your visor or goggles are dirt free before riding out. This entry was posted in articles and tagged bikes, group of riders, motorcycling, motorcyles victoria, motoX bikes.